No one wants to hear that there is something wrong with their car, especially when it comes to the transmission. 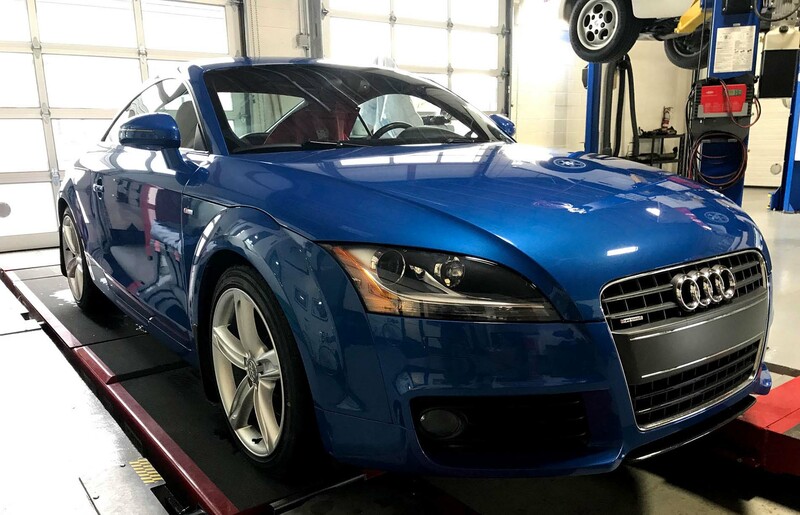 The owner of this 2010 Audi TT Quattro 4-cylinder TFSI 2 L started to feel a difference in the shift pattern when driving, and so he promptly brought his car to us with some concern. A test drive showed the somewhat erratic shifting, almost as if the clutch was slipping, and an unusually long delay between park and reverse, as well as park and drive. Our technician, Craig, got straight down to diagnostics to get to the bottom of this issue. The fault codes retrieved from the DSG control unit lead to a technical service bulletin published by Volkswagen. The gear box needed to be removed and the clutch needed to be disassembled for further inspection. After draining the transmission fluid and disassembling the clutch, it was discovered that the snap ring that is meant to lock the drive plate to the clutch assembly had popped out entirely. This allowed the drive plate to turn and jam itself into the grooves where the clip is meant to sit. Because the drive plate was not sitting properly, it had loosened off from the disc assemblies, letting off appropriate tension and badly wearing some of the clutch discs in the process. When installed, the drive plate is meant to have a specific amount of tension to ensure that the contact between the disc, steel plates and friction disc is adequate. If there is too much tension, the transmission will not shift well, getting hung up in gears. If there is not enough tension, slippage and engagement delay occurs. Not only had the drive plate shifted, but the drum assembly had moved toward the inside of the bell housing on the transmission, causing wear on the transmission casing. 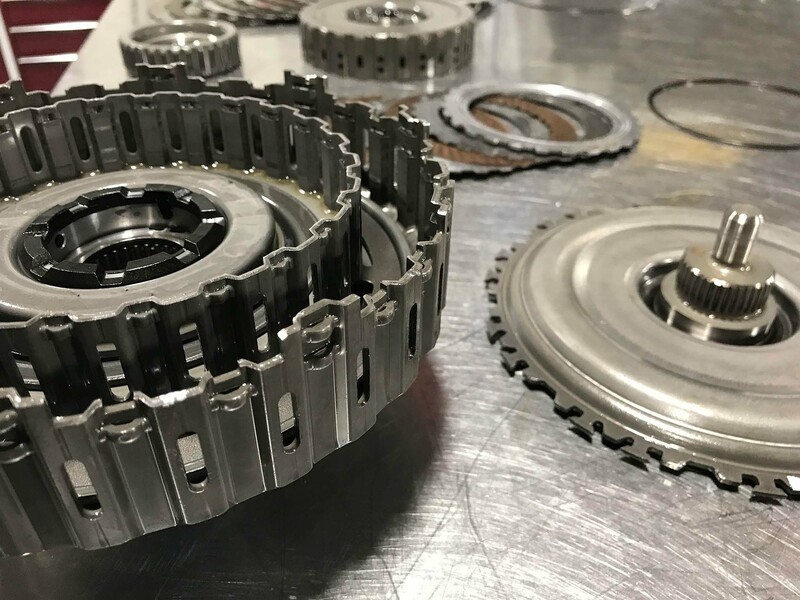 When a clutch assembly is installed into a gearbox, there are a series of measurements that are taken in order to set the depth of the whole assembly on the input shaft. When set correctly, there should be a certain amount of clearance between it and the transmission. The failure of the snap ring clip eliminated any clearance that had been there, resulting in wear and minor damage.